The service module for Orbital ATK’s next Cygnus cargo craft will be shipped to the launch site at Cape Canaveral from Virginia later this month. It features upgrades such as fan-shaped solar arrays and a lengthened cargo module. Credit: Orbital ATK. The decision also gives engineers readying Orbital ATK’s Antares rocket, which is being outfitted with a new type of engine, some extra breathing room in their test sequence at the Antares launch base at Wallops Island, Virginia, said Frank Culbertson, president of the company’s space systems group. The next two Cygnus flights, tentatively set for Dec. 3 and March 10, will fly from Cape Canaveral on United Launch Alliance Atlas 5 rockets. 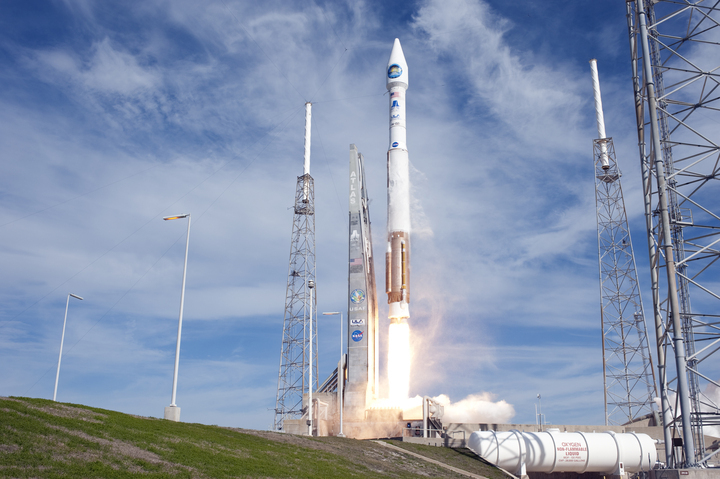 Orbital ATK signed contracts for two Atlas 5 flights — using the company’s own funds — to continue flying cargo flights to the space station after an Antares launch failure in October 2014. 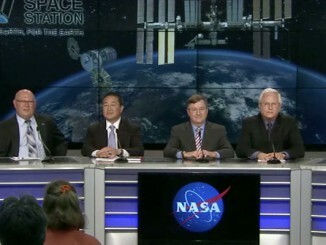 “We worked out a very good arrangement with ULA to fly the Cygnus twice, once on Dec. 3 coming up and once next March, and then we’ll pick up with flights out of Wallops next May approximately,” Culbertson said Wednesday at the International Symposium for Personal and Commercial Spaceflight in Las Cruces, New Mexico. 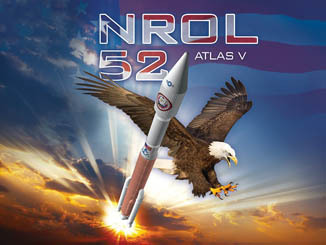 Orbital ATK announced in August the purchase of a second Atlas 5 launch for the company’s Cygnus supply freighter, executing a contract option from a deal for the the first Atlas 5/Cygnus flight signed weeks after the company’s Antares booster crashed shortly after launch in October 2014. Officials in August said the Atlas 5 mission could fly before or after the Antares booster’s return to flight, declining to identify a launch date. 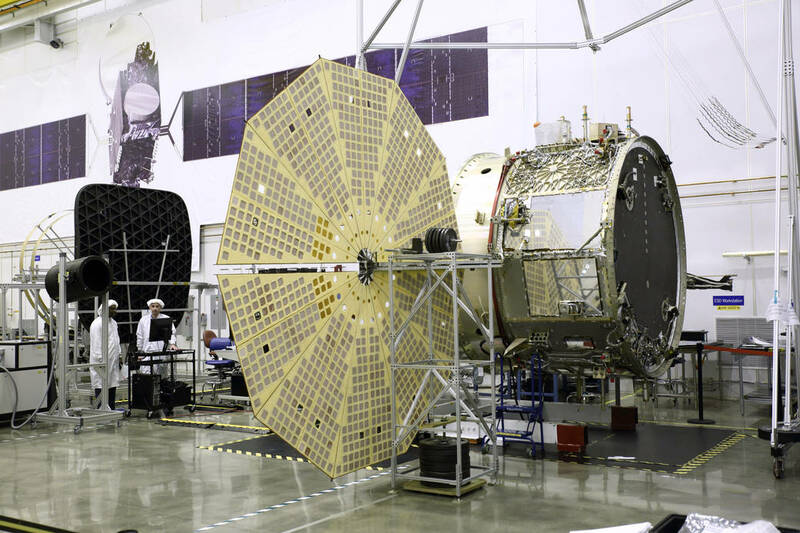 A launch slot in the Atlas manifest originally assigned to NOAA’s new GOES-R weather satellite will now go to Orbital ATK’s Cygnus supply ship. Managers delayed the launch of the meteorological observatory from March to late 2016 after the weather satellite program encountered schedule slips, according to a NOAA spokesperson. The Dec. 3 flight, known as OA-4, could move forward one day if the rocket and spacecraft are ready in time, Culbertson said. One more Atlas 5 flight from Cape Canaveral is due for Oct. 30 with a GPS navigation satellite, then Cygnus is next in line. The Italian-built cargo module for the December launch is being prepared for flight inside NASA’s space station processing clean room near Cape Canaveral. The U.S.-manufactured Cygnus power and propulsion module will be trucked from Orbital ATK’s Dulles, Virginia, headquarters to Florida next week, officials said. The follow-up flight in March is designated OA-6, while the Antares return-to-flight mission is called OA-5. Officials decided to keep the OA-5 name with the Antares mission, according to Culbertson, a former shuttle and station astronaut. 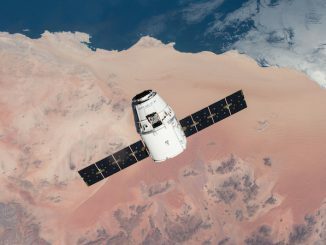 Orbital ATK has a multibillion-dollar contract with NASA to ferry supplies to the space station over 10 flights through 2018, including the failed mission last year, which was the third in the sequence. Spaceflight Now members can read a transcript of our full interview with Frank Culbertson. Become a member today and support our coverage. The October 2014 rocket failure, which Orbital ATK blamed on one of the first stage’s AJ26 engines, grounded the Antares launcher. The company suspended Antares flights after the mishap, and accelerated an already-planned replacement of the troubled AJ26 engine with newly-built RD-181 engines. Both powerplants are made in Russia, but the AJ26 engines — supplied by U.S.-based Aerojet Rocketdyne — were manufactured for the Soviet-era N1 moon rocket program in the 1970s. The RD-181 engines from NPO Energomash are based on a modern design, with components and heritage from the RD-180 engine used on ULA’s Atlas 5. Culbertson said the Antares team at Wallops has integrated the first two RD-181 engines with a first stage booster in the rocket’s hangar. Another two RD-181 engines have been delivered to the United States for a subsequent Antares mission, he said. The Virginia Commercial Space Flight Authority, which owns the Antares launch facility on NASA property at Wallops, announced Sept. 30 the completion of repairs to the launch pad from damage sustained in last year’s failure. Culbertson said the launch pad will now be tested to ensure it is ready for a hotfire test of the Antares booster early next year. The RD-181 engines burn the same kerosene and liquid oxygen propellant mixture as the AJ26 powerplants previously flown on Antares, but the new engines do not require “super-chilled” cryogenic liquid oxygen. The oxidizer is still stored at about minus 300 degrees Fahrenheit (minus 184 degrees Celsius), but it is a few degrees warmer than the liquid oxygen conditioned for consumption by the AJ26.